SLRs with popular 18-200mm lenses. Other lenses up to 7" (18 cm) long. 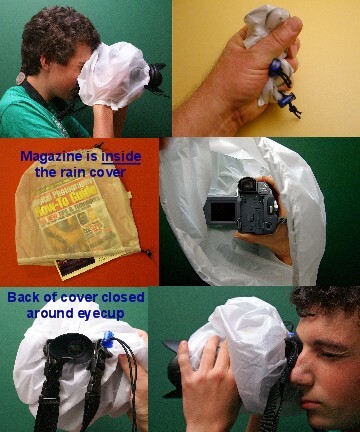 Can be used with small video cameras (lens hood recommended). BLACK (out of stock) covers help in viewing the LCD screen in sunlight. Patented -- all rights reserved. Fits a DSLR camera with a wide angle, normal, or "travel zoom" lens. Holds extra lenses, filters, etc. or add weight to stabilize your tripod. Helps view your LCD screen -- better than a pop-up shade!